Normally, when you want to promote your town or city you spend thousands or millions of dollars looking for an expensive agency to design a marketing strategy. They will spend months analyzing data, preparing proposals, hiring experts, and after months of hard work they will come to you will a couple of final proposals that you will not entirely like. If you accept any of the proposals, you will have to spend a lot of money on the media buying and people to manage and monitor the campaign. Why would you do this anymore? Today there’s something extremely powerful called “virality”, which is a result of the mass sharing content extremely fast and effectively online though the social media networks. If you find someone creative enough, and you are willing to use this thing called innovation, you can succeed and make the world know that your destination exists, and not only that, make the world know that your destination is a place where you don’t fear to do new things and have fun. 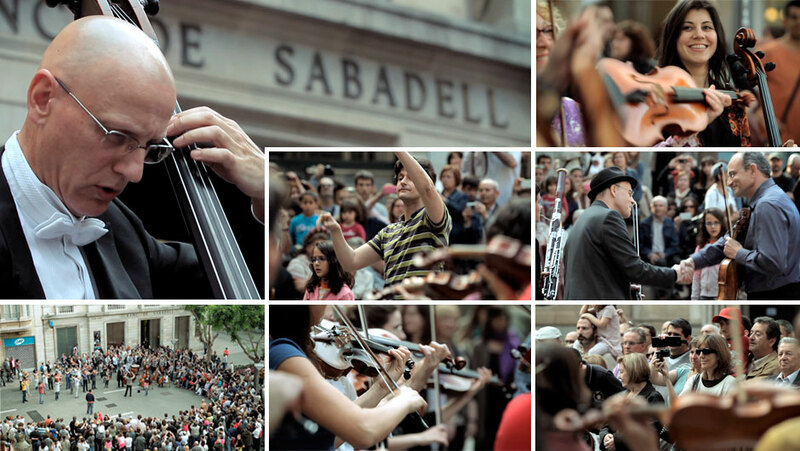 Here is a perfect example of what I’m talking about, the small town of Sabadell invested some dollars in putting together the local orchestra and choruses and recording the flash-mob they organized in a downtown plaza. In this case, they used a local bank to finance the “promo” including a couple of takes of the banks facade in the video, but this action reduced the cost to nothing for the city’s tourism office. Obviously, people are already tired of Flash-mobs, but when you play something like “Joy’s Anthem” or “Anthem of Europe” and you get children involved, our most human side has no other chance but to enjoy it, feel it and share it.